Back in the day, Playtika was a daring Israeli startup that came up with a brand new idea: fuse the worlds of real money gambling and social games to create a hybrid never seen before. Its idea was turned into a product – the first free-to-play social casino app. At first, it was released through Facebook and was played in a web browser window, later it found its way to the world of smartphones, and it has become the most successful title of its kind. While its game variety often falls behind its real money competitors’ – the Leo Vegas App has almost twice as many games as Slotomania – its quality and accessibility make it a perfect choice for Android and iOS users around the world. Launched in December 2010 on Facebook, Slotomania has quickly become the preferred way to kill time for millions of players in the world. Later, as it transitioned to smartphones, it has gained even more support – and the fact that you could play it both on the go and at home, in front of your computer, made it even more popular among players. 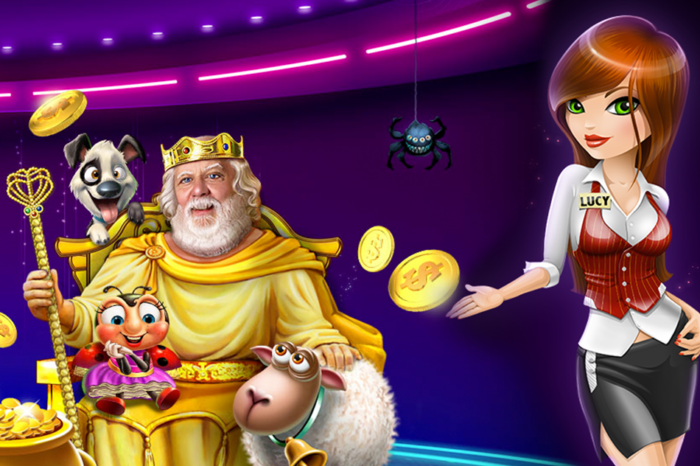 Over the years, Playtika has launched a series of other games with similar topics – the House of Fun series, the WSOP app, the Vegas Downtown Slots, and Bingo Blitz – but Slotomania has remained their most played and most popular title. Downloading and installing the app is very simple – much like in the case of all other apps today. It is not a huge app but it only downloads a single slot machine initially, along with all the other features and pieces of software needed to run the game. Players can download the slots inside the game as they unlock them – they can take up quite a lot of space if you progress enough through the game. Initially, players start the game with 2 million free coins. There is no need to register an account to play (initially at least) but doing so comes with benefits, like a populated friends list, among others. Players can either connect to the game through Facebook or create a Slotomania account either from the app itself or through the Slotomania website. When it comes to game variety, Slotomania is pretty well endowed. Its game library currently has over 150 titles for its players to try but most of them are unavailable at first – as they progress, players can unlock fresh games and receive tons of bonuses in the process. And, of course, they can also spend real cash on in-game benefits and a ton of coins to play on the app’s numerous slot machines. Slotomania is a great time killer both on desktop computers and iOS/Android powered smartphones.